As I look resentful at a few old chairs in the dining room, Savvy Sis found me the perfect solution without even trying. I have been trying to update the look of the dining area, but I don't want to buy new furniture. 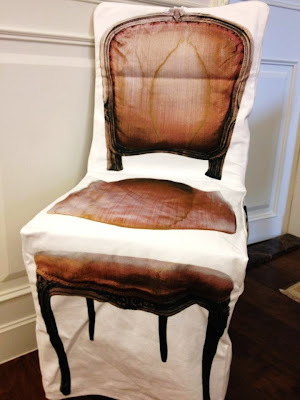 When I saw what she bought, I thought to myself, this printed chair cover is the perfect solution. 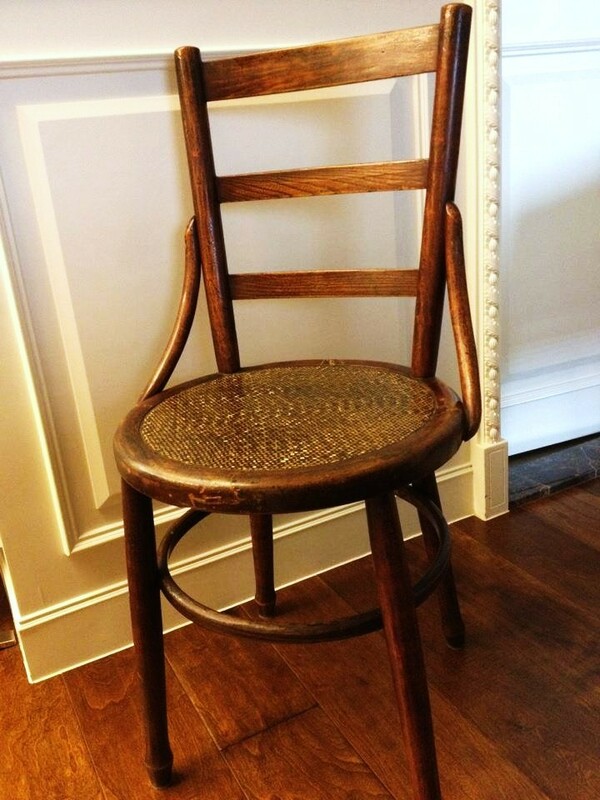 An old chair will instantly become whimsical and interesting. Unlike a standard chair cover, this printed cover will add instant detail to a space. I wonder if they have other types of prints? These are definitely on my shopping list. What do you think?? That's such a cute/funny idea! Want a summer scarf? Enter to win a $20 ScarvesDotNet Gift Certificate! Thanks for sharing this idea. 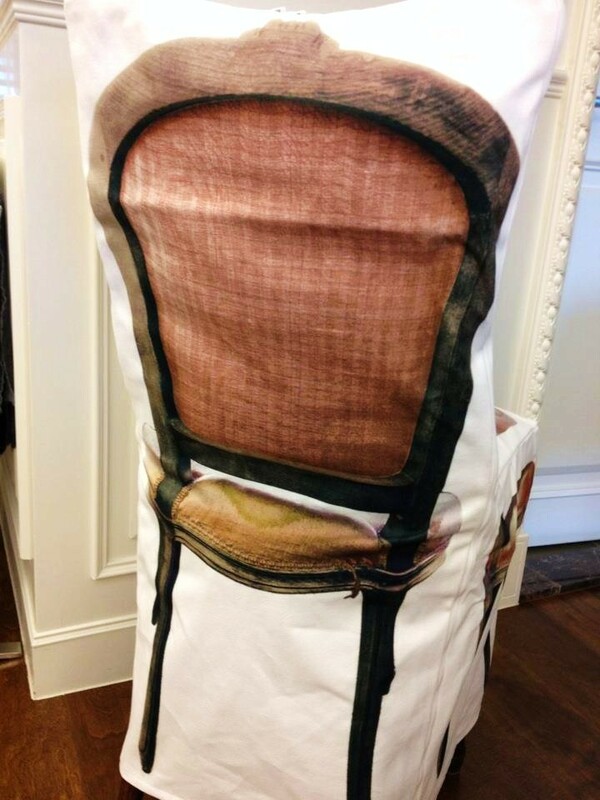 Chair cover is very pretty. Found more chair covers at www.chaircoverdepot.co.uk at affordable price. Where did you buy this chair cover? My sister got this cover from a small shop in Taiwan.